Our help desk has several functions. It provides users with a central point to receive help on CNC communications issues. Our help desk manages its requests via our help desk software, that allows users to make and track requests for support with a unique help desk ticket number. The software allows our users and our support staff to track inquiries and responses to all questions. Hopefully, nothing will “fall through the cracks” and go unanswered. As always, we are receptive to help desk ticket inquiries asking simple questions about DNC systems, BTR (Behind-Tape-Reader) interfaces, computers and networks. On a no-charge basis, we will respond to questions that can be answered in a few help desk ticket exchanges. 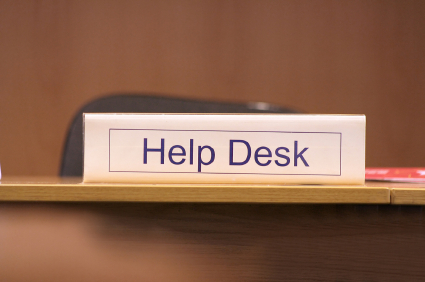 Please click here to access our Help Desk. Click here to access any current and open Help Desk Tickets or to review your ticket history. You will need the email address you used when you created your ticket as well as your assigned ticket ID to access your account. If you don't have that, you can open a new ticket and we will send you your ticket numbers by return email. Copyright © 1987-2010 Digitek Automation Systems, Inc. - All Rights Reserved.